First things first - this is not a sponsored post! I promise you that I was not given a single dollar by ASOS Curve to put together this post - these opinions are my own and are a result of being a true brand diehard. 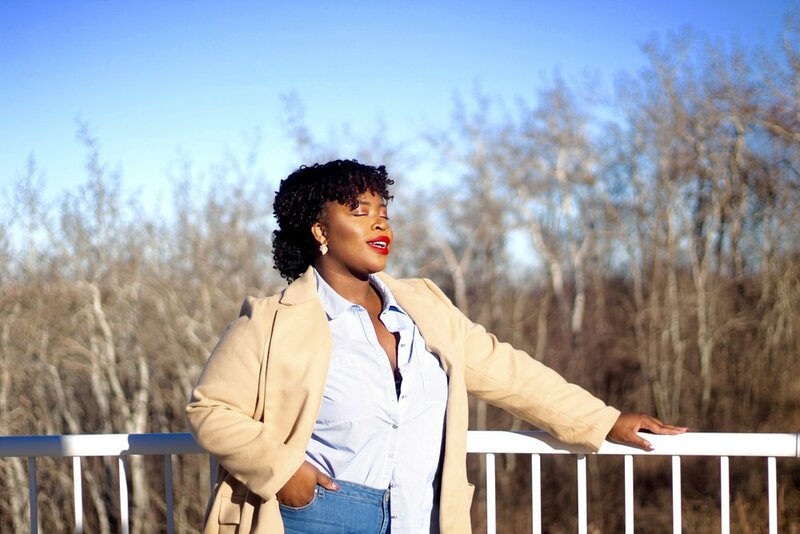 If you have been reading my blog from the jump, you know that ASOS has been one of the brands that I have relied on for fashion forward plus size pieces. 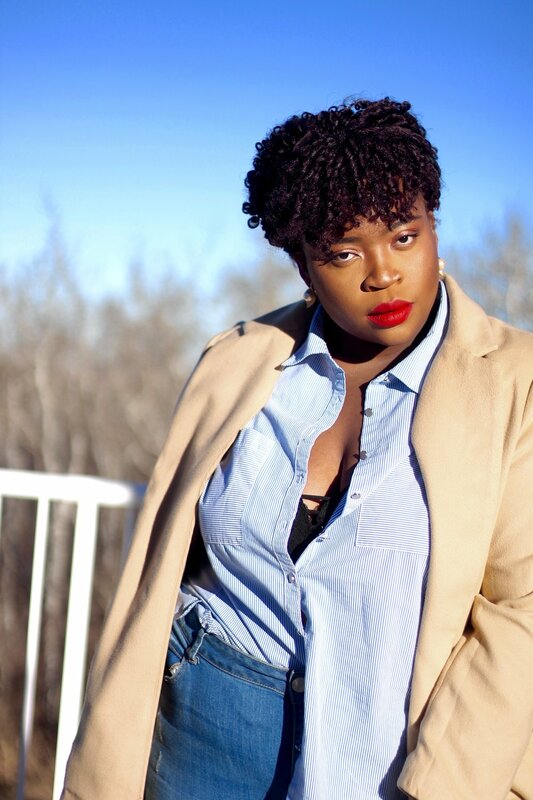 They fulfill my minimalistic needs, providing wardrobe basics often skipped past by other companies in the plus size realm. 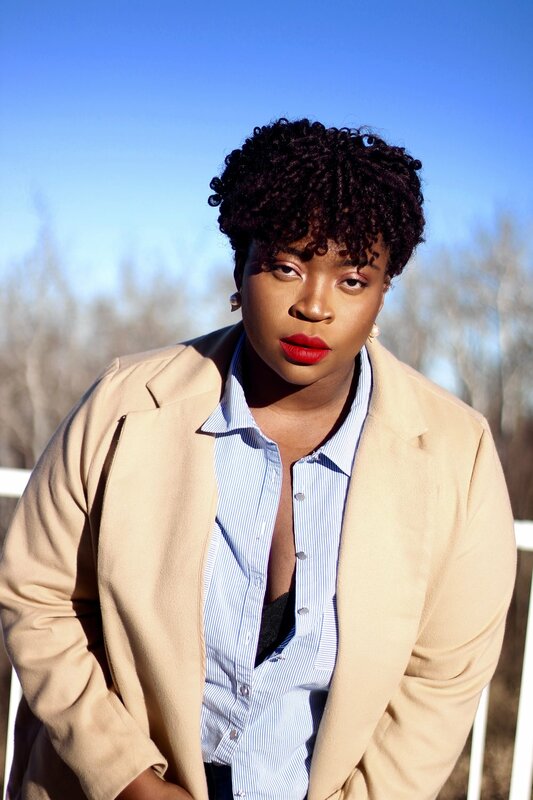 Now that cold weather has rolled through and our summer dresses have been placed in boxes at the back of our costs, it is time to get serious about plus size outerwear! 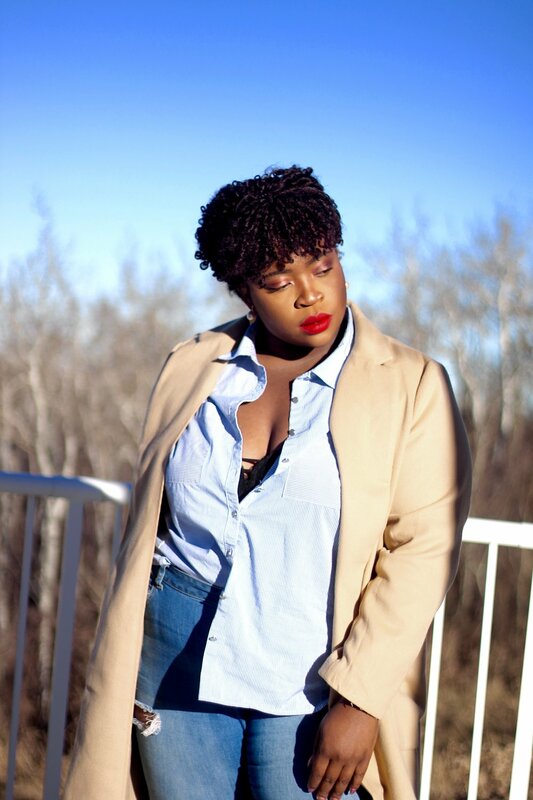 I picked up this bomb trench from ASOS a few weeks ago and it sparked in me the need to share my favourite plus size coats from the site. I remember back in the day, as a plus size teenager, I would absolutely dread going coat shopping. It was always a full day ordeal that involved tears and feelings of dismay when I couldn't find something that fit. I would often be left wearing a coat that made me look double my age because nonage-appropriate options were available in my size. Fast forward to today and the plus size coat options have grown ten fold. Shopping as a plus size young adult these days is a giant leap from where I was just a few years ago. I'm talking fur collars, bright patterns and flattering cuts made in sizes up to a 28+! 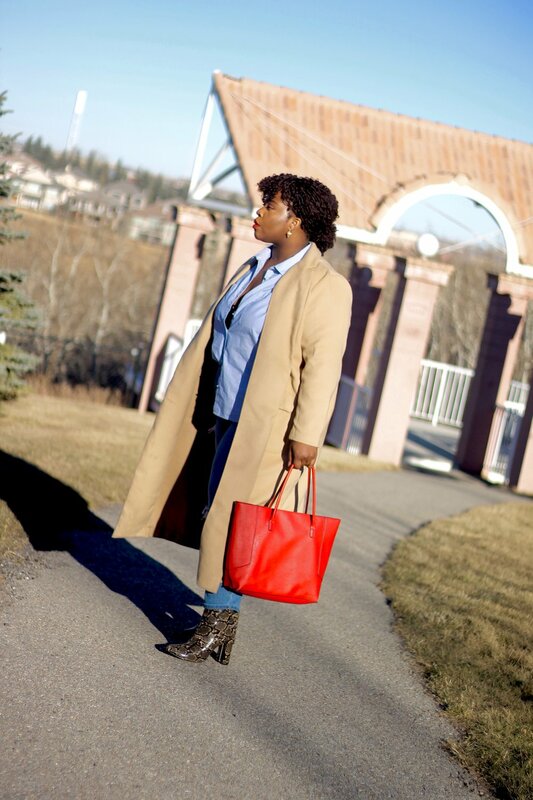 When shopping for plus size coats, I look for three things: fit, comfort and style. I want to make sure that the coat fits the way I want - be it curve hugging with a peplum flare or large and oversized with deep pockets. The coat obviously has to be comfortable enough for me to wear day-in and day-out, allowing me to move around freely while also staying warm (because that is kind of important for a winter coat tbh). Finally, the coat has to look bomb. My wardrobe is a wish mash of prints, textures and colours so the coat I land on has to fit in seamlessly. 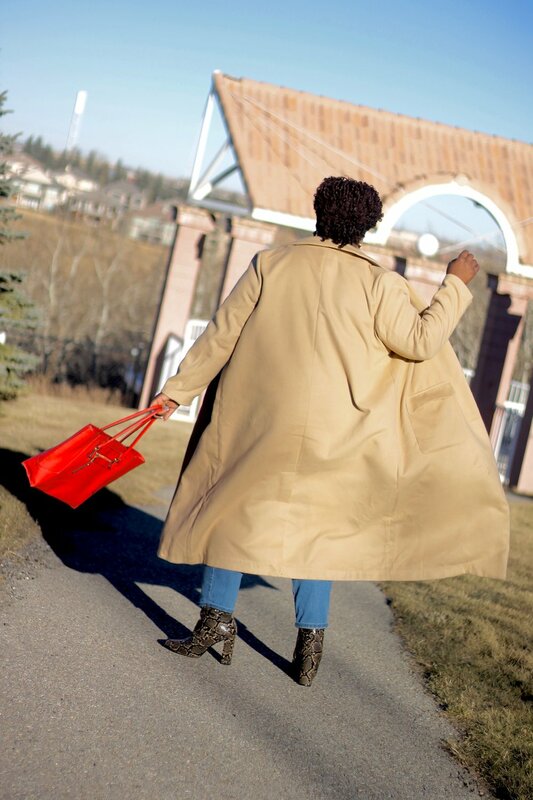 I am a self proclaimed coat-a-holic so I have about five coats in rotation at any given time but I promise you - once you find your arsenal of coats your winter closet will be complete! 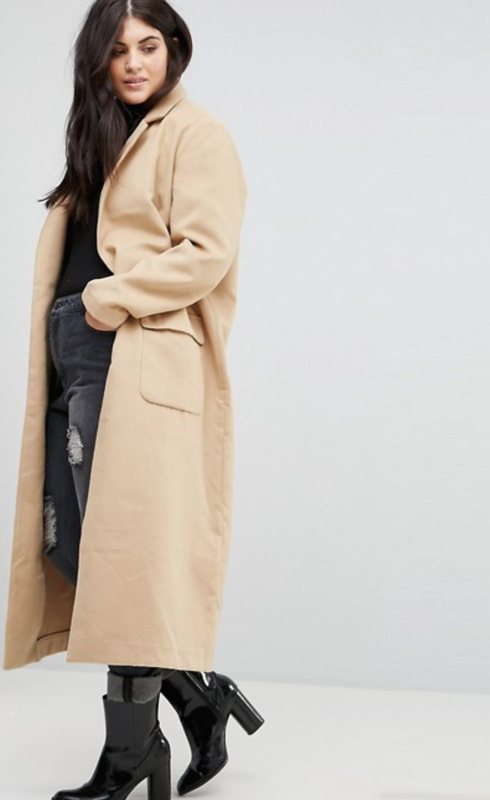 Sneaky tip: shop the men's section for coats too! ASOS Men's Plus has a selection of wicked coats that will work perfectly for plus size women. I appreciate oversized coats for those harsh winter days so getting an ankle length trench or coy puffer jacket from the men's section is the perfect solution. I know it is a weird suggestion but fashion is what you make of it. It doesn't matter where you buy your pieces - when a look comes together no questions are asked. So shop outside of your comfort zone this winter and you may just surprise yourself a little! Can we discuss Fenty Beauty's Stunna Lip Stain?! My Gs - this colour is the universal red. I am yet to see it look bad on any one and the way the red colour changes to best compliment your undertone is bloody revolutionary. Please - go buy yourself one (or if you cant afford one, DM me and I'll see what I can do) because every one deserves this tbh. 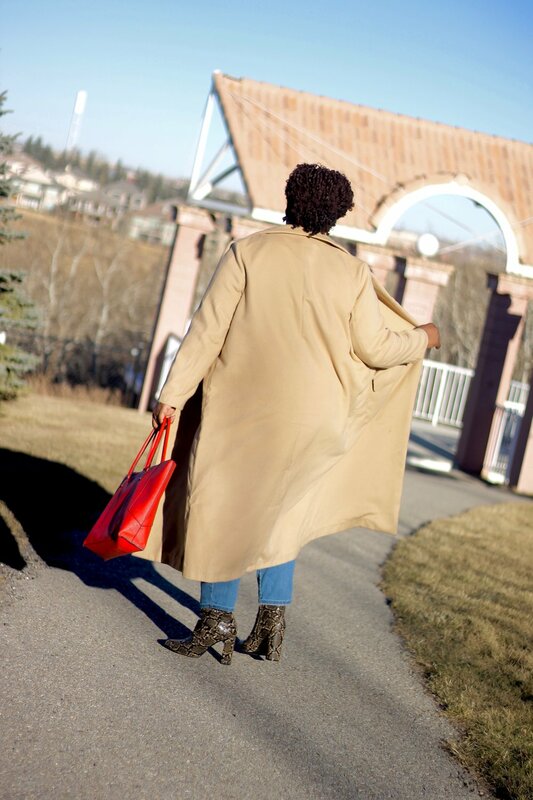 What are some of your top winter coat picks? I'd love to see where you like to shop for your winter gear and what winter coat details you look for in the perfect piece!